The market is saturated with cycling backpacks. 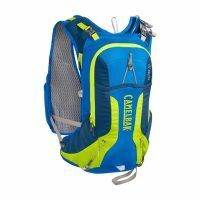 Indeed, many multi-day pack manufacturers offer a cycling pack in their lineup. Conversely, there are manufacturers that make packs exclusively for cycling. What a cyclist truly needs depends on the mission. Cyclists who ride distances of more than 10 miles to work and need to carry laptops, clothes, lunch, water and books, need a larger pack with a host of organizational options. Cyclists who ride two miles to a train or bus station don’t require a pack with such breadth. There are even cyclists who just ride to a local coffee shop with laptop. This round of testing brings together a selection of six cycling backpacks for commuting by bike and for general urban cycling. 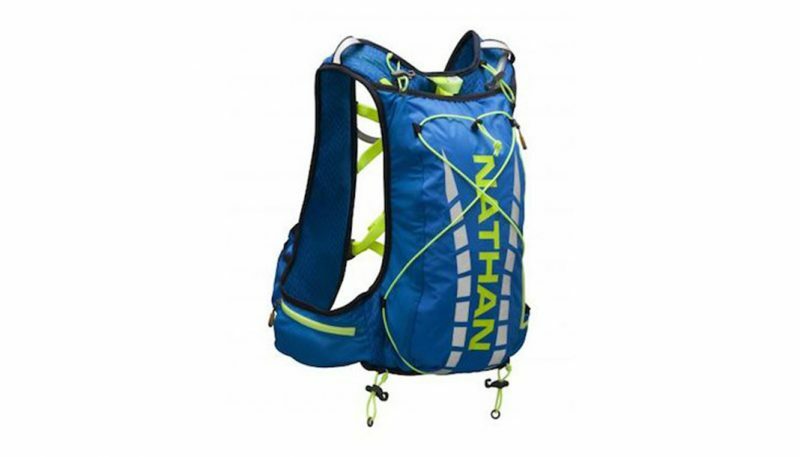 They range in size from 20 liters to 28 liters and with features ranging from basic to sophisticated. Our testing team is based in Minneapolis, Minnesota and tested each pack for more than 100 miles of commuting in varying temperatures and weather conditions. Each pack was evaluated on five categories: Comfort/fit, stability, storage, durability and extras. 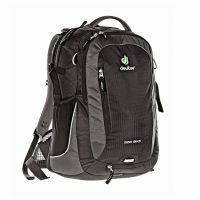 The Deuter Giga Bike cycling backpack is a durable, weatherproof backpack that is stable on the back in cycling positions. 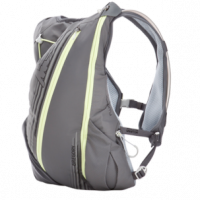 It has a comfortable back panel and set of shoulder straps as well as outstanding organizational features. 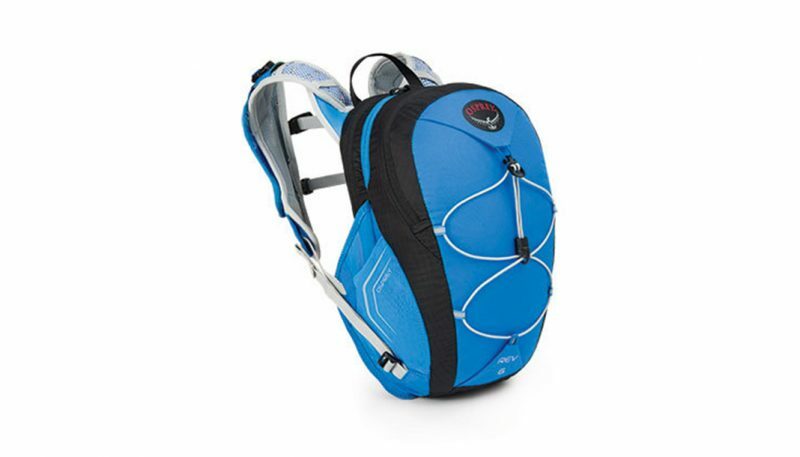 However, the organizational and enhanced comfort and durability features add to the pack’s weight and bulk. The Osprey Radial 26 cycling backpack is a durable, weatherproof backpack that is stable on the back in cycling positions. It has built-in kickstand that allows the pack to sit upright on the ground while the cyclist is locking up his/her bike. However, its many options for organization comes at the cost of added weight to the cyclist. 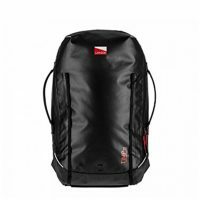 The Chrome Rostov cycling backpack is a lightweight, durable, weatherproof backpack that is stable on the back in cycling positions. 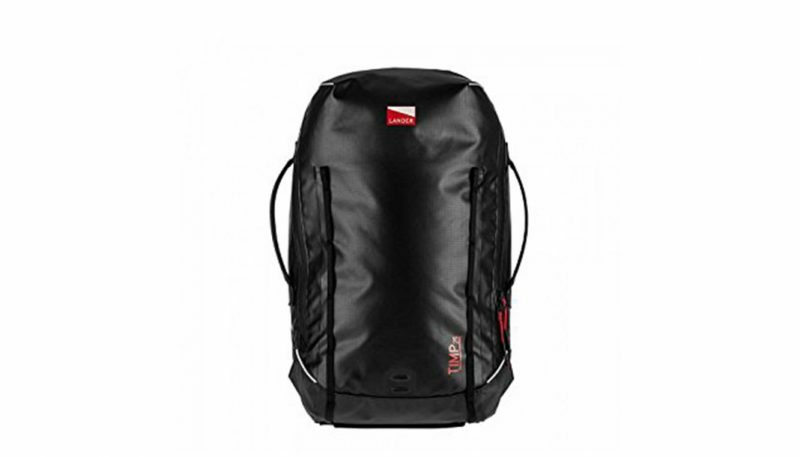 It has a comfortable backpanel and set of shoulder straps as well as good organizational features. However, the yoke at the top of the shoulder harness is deep and can dig into the back of the cyclist’s neck when in the riding position. The Deuter Giga Bike and the Osprey Radial rated the highest in this category. 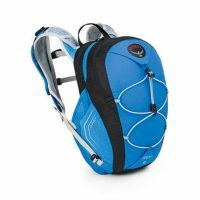 This did not come as any surprise since the genealogy of both brands stem from packs designed to carry heavier loads for long distances. 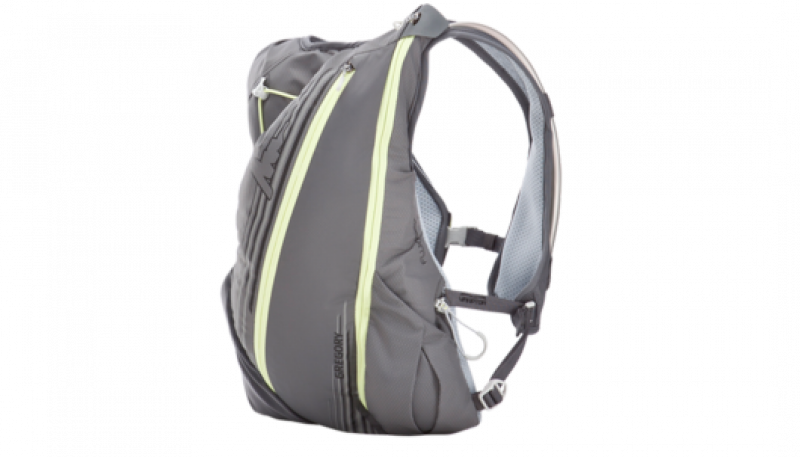 The anatomically formed shoulder straps of the Deuter Giga Bike and the AirSpeed mesh suspension back panel of the Osprey Radial are the standout features for each pack. They both provide a truly comfortable experience for the cyclist when carrying a heavier load for long distances. Still, not all cyclists are carrying heavy loads and riding long distances. That’s where the durable and multipurpose Fjällräven Rucksack No. 21 comes into play. This pack offers more than stunning good looks and heritage design. 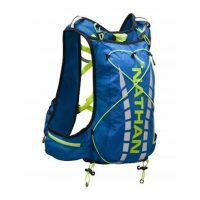 It sat comfortably flat on our backs and its wide shoulder straps had enough padding to offset the discomfort of carrying heavier loads. However the back panel lacks breathability, making it an unlikely choice for the cyclist who rides long distance in hot or humid weather. The Chrome Rostov and Lander Timp scored equally in this category. Both are comfortable enough as long as the loads aren’t too heavy, their shoulder straps have just enough padding to feel comfortable providing the cyclist isn’t riding 10 or more miles to work, and the back panel designs offer a degree of breathability that’s better than the Fjällräven Rucksack No. 21 and the Timbuk2 Tuck, but not as good as the Deuter Giga Bike and the Osprey Radial. 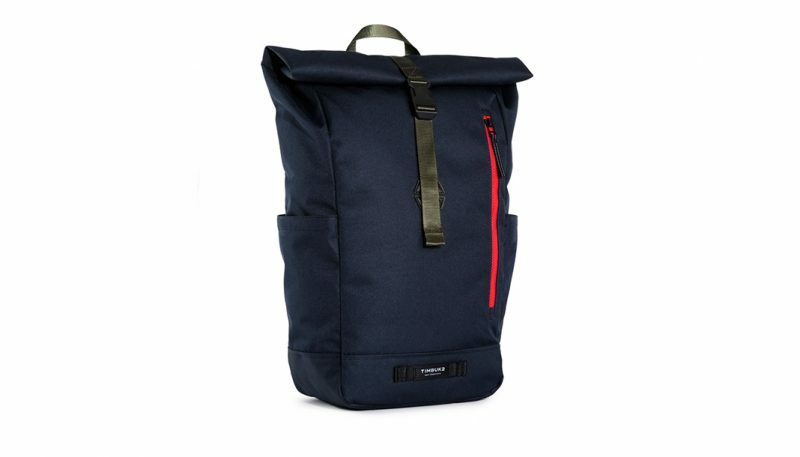 The Timbuk2 Tuck, however, is a backpack that requires mindfulness when packing to achieve comfort. It doesn’t have the structure of its competitors (or the price tag) so objects that are hard, or have sharper edges, can and will be felt and reduce comfort. However the Tuck’s saving grace in this category are its nicely padded shoulder straps. Again, the Deuter Giga Bike and the Osprey Radial scored highest in this category, also as a result of their backpacking genealogy. Each has compression straps, an adjustable sternum strap and hip belts, though the Giga Bike’s hip belt is considerably more beefy than the Radial’s, which is really just a one-inch piece of webbing strap. The Giga Bike’s is a real hip belt that actually takes some of the pack’s weight from the back to the hips. The Chrome Rostov, too, has good stability. It scored the second highest in this category. 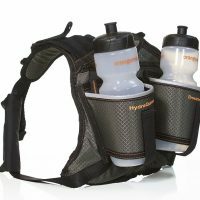 It has compression straps and an adjustable sternum strap to help distribute load. However one tester had to loosen the shoulder straps quite a bit to keep the yoke from digging into the back of her neck. 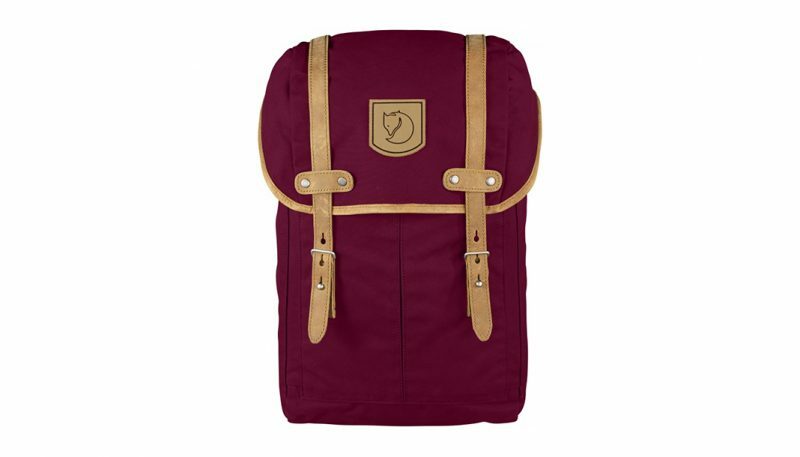 Nipping at the heels of the Rostov are both the Fjällräven Rucksack No. 21 and the Lander Timp. The Rucksack No. 21 has no sternum strap but the Lander Timp does. One would think this would make the Timp more stable, but it didn’t. 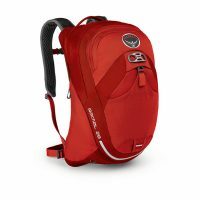 Even when the sternum strap was fastened, it still jostled around when riding on a rough trail, while the Rucksack No. 21, with about the same load, laid flat, unfazed by the bumps. 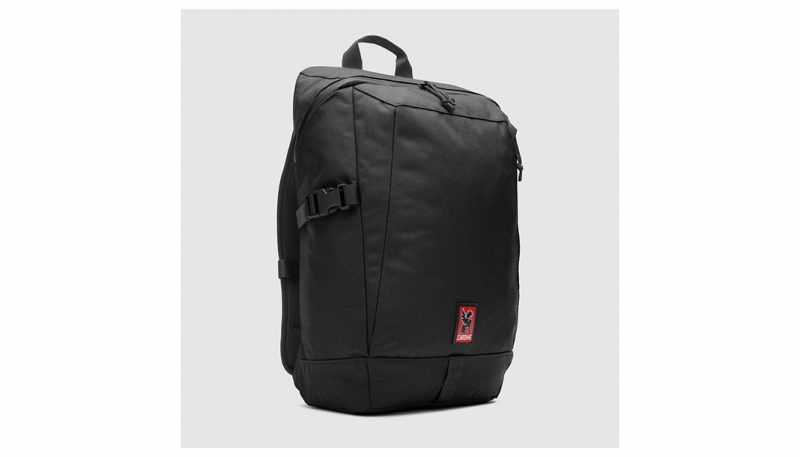 The Timbuk2 Tuck turned out to be stable in certain circumstances, such as when carrying a laptop. While carrying just clothes or some groceries, it did not sit flat. The Deuter Giga Bike and the Osprey Radial scored highest in this category, too. At 28 liters of cargo capacity, the Giga Bike has one large main compartment, a secondary external compartment, and a separate external zippered padded laptop compartment that holds up to a 17-inch laptop. 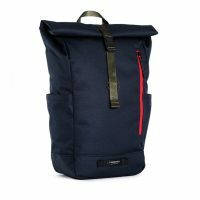 The Radial, at 26 liters, has one large main compartment, a secondary external zippered compartment with a small secured zippered pocket, and two additional unsecured stash pockets. But not every cyclist needs that much cargo capacity, or the added pack weight. So the Lander Timp takes second place with 25 liters of cargo space, hitting that middle ground for storage capacity. Not too excessive to make it heavy, but enough to carry what a cyclist needs. The Chrome Rostov and the Timbuk2 Tuck share third place. They both offer 23 liters of storage capacity and similar organization. For many cyclists, this could be the perfect amount. Each has separate laptop compartments and a large internal pocket to hold clothes, shoes and other necessary items. The Tuck has a very nice organizer pocket for pens and things that the Rostov doesn’t. At 20 liters, the Fjällräven Rucksack No. 21 offered the least amount of cargo capacity and organization. Its main compartment is not very roomy, and the laptop compartment barely has any padding. Additionally, it’s labor-intensive to enter the Rucksack No. 21. First, the two leather straps must be unbuckled before the drawstring closure can be loosened. 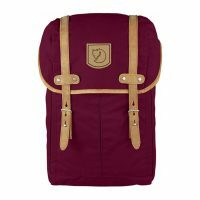 Although scoring at the bottom in the Storage category, the Fjällräven Rucksack No. 21 scored the highest in this category and is the best-constructed pack in the test. It is made with Fjällräven’s proprietary G-1000 fabric. This makes it extremely durable and resistant to light precipitation, dirt, grit and general abrasion. The buckles and leather straps are heavy-duty and very high quality. Only the Deuter Giga Bike and the Chrome Rostov came relatively close to the Rucksack No. 21’s stout build. 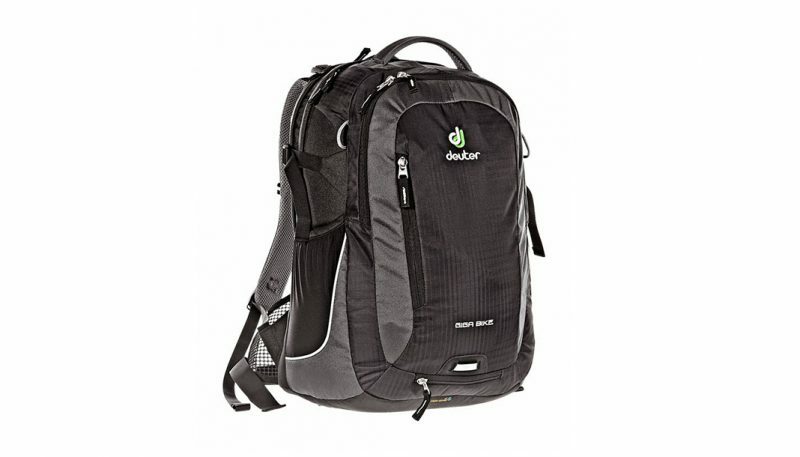 The Deuter and Chrome are constructed with an abrasion-resistant Nylon fabric and a water-resistant PU coating. The Deuter compression buckles are an industrial-grade plastic and the mounting straps are sturdy webbing. The Rostov adds a little metal into the mix with underarm compression buckles and the D-rings on the shoulder straps which worked well for clipping items the cyclist needs fast access to, like a phone case or a whistle. The Lander Timp and the Timbuk2 Tuck both scored the same in this category as well. The Timp is made with a weather-resistant TPU-coated rip-stop material and weather-resistant zippers that are very glove-friendly. The Tuck is made with a lightweight but durable polyester fabric and the zippers feel substantial and hefty. Although the buckle that secures the roll-top to the pack is made from a lightweight plastic, making our testers question its long-term durability. But Timbuk2 has confidence in it as demonstrated by its lifetime warranty. The Deuter Giga Bike and the Osprey Radial scored the highest here and their list of extras was essentially neck-in-neck. The two packs had a couple of unique features that the others in the test didn’t, such as helmet holders (though differing styles), integrated high-vis rain covers, and waist belts to increase stability. However, the Radial has one unique feature – a built-in kickstand. But remember, all these nice extras and conveniences come with a higher price point and heavier weight. The Fjällräven Rucksack No. 21, Chrome Rostov, Lander Timp and Timbuk2 Tuck all scored equally in second place with a more slimmed-down menu of extras for the more minimalist rider. The Rucksack No. 21’s has an integrated padded seat that comes in handy when sitting on a dirty public bench or wet grass. Our testers also found that it added structure to the pack, though at the cost of decreasing the cargo volume a bit. The Chrome Rostov’s main pack compartment contains a waterproof liner and is secured with a seam-welded waterproof zipper. It also has a lifetime warranty. 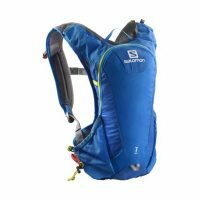 The Lander Timp offers a hydration bladder, hydration tube port, elastic tube holder down the right shoulder strap, and four sturdy grab handles. 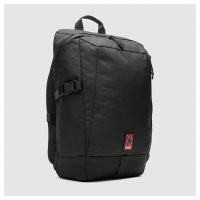 The Timbuk2 Tuck offers large glove-friendly reflective zipper pulls and side access to the main part of the pack via the pack’s large side zipper. Comfort and fit, stability, storage, durability and a few useful extras are the critical elements to consider when choosing a backpack for commuting or just getting around by bike. Weight is a big deal because if the cyclist adds 10 pounds of gear into the bag, he or she still has to add the weight of the pack itself. Backpack style selections came in an intended range. 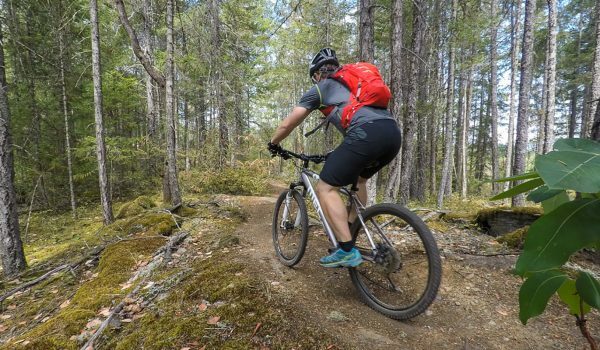 A pack that has a great deal of cargo capacity and a lot of features may be the right pack for one cyclist but not all. A perfect cycling backpack for commuting would start with the 23 liter size of the Chrome Rostov, build it with the durability of the Fjällräven Rucksack No. 21, add the kickstand of the Osprey Radial, the rain cover of the Deuter Giga Bike, the hydration capability of the Lander Timp, and make it as lightweight and affordable as the Timbuk2 Tuck. But there is no perfect pack. Still, of all the packs in the test, we were most impressed with the Deuter Giga Bike because of its feature-to-price ratio and comfort level. It’s a lot of pack for the money. Though it’s the largest pack in the test, it’s not the heaviest (Osprey Radial takes that honor). Even when our testers carried heavier loads, the mesh hip belt worked well in transferring pack weight from back to hips. 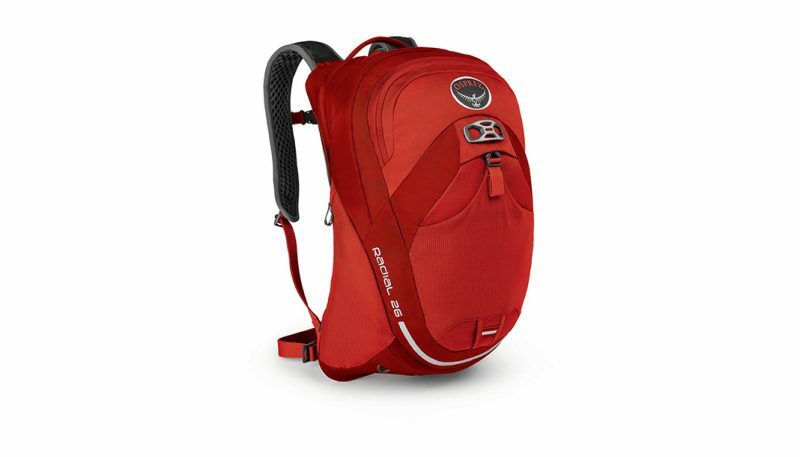 The Osprey Radial was also an impressive pack with outstanding comfort. The built-in kickstand was a unique feature, but not an essential one. It was also heavy. The four packs that rounded out the test — the Chrome Rostov, Lander Timp, Fjällräven Rucksack No. 21 and the Timbuk2 Tuck — all were packs that have plenty to offer any commuter but on a smaller, lighter and less excessive scale. The Deuter Giga Bike just happened to offer a bit more of the balance that we were searching for in a commuter cycling pack. All backpacks were tested on commutes to work that distanced six miles each way on designated urban bike paths and bike lanes. Contents carried in the packs during each test phase included clothing, shoes, wallet, cell phone and the occasional laptop. The test period ran from November to January in weather that ranged from cool, cold, rain, wind, sleet and snow. The packs were also tested when running errands and on shorter urban rides to local coffee shops, restaurants, and taprooms.